Kwangwon province invited members of WIFE and held Pyeongchang investment round table in order to have chance for global business together with Islam country from Jan 14 until Jan 16, 2014 at Alpenzia in Pyeongchang, Kangwon Province. Our hospital participated this event and introduced Korean Traditional Herbal Medicine to the members of WIFE on Dec. 14 & Dec. 15, 2014. Mr. Sanad Al Meqbali, Chairman of Entrepreneurs Association of UAE had a consultation with Dr. Choi. 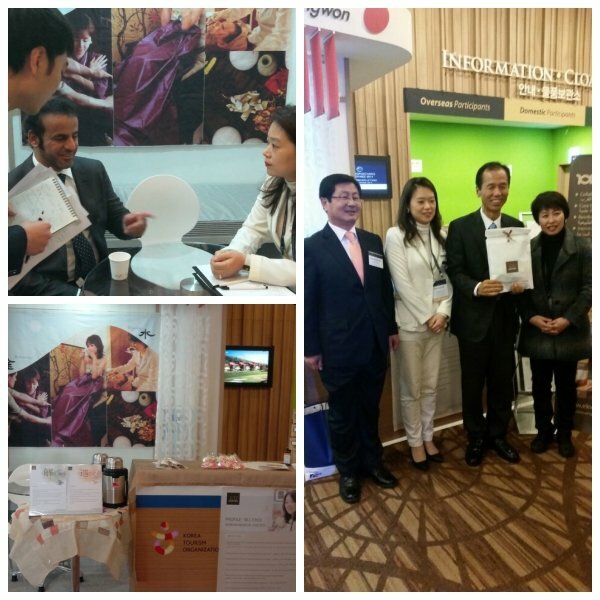 Mr. Kang, Won-Sun, Governor of Kangwon Province visited our booth and enjoy Korean traditional herb tea.